In the part one of this article I talked about the teenage brain and the common teen traits of spotty memory, poor impulse control, the desire to do new things, and spending less time with family and more time with friends. Today we’ll talk about the last four traits that will help you craft authentic young adult characters. The one thing that is working completely in the teen brain is the limbic system, which deals with emotion, and is the part of the brain responsible for “pleasure seeking”. This seems to explain a lot about all of the heightened emotions that we deal with in our teen years. I remember feeling as though the entire world was ending when I had a fight with friends, or didn’t get asked out by the boy I liked. 6. Weighting risk and reward differently than adults. 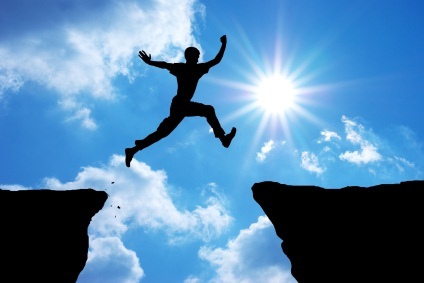 Journalist David Dobbs points out that “Teens take more risks not because they don’t understand the dangers, but because they weigh risk versus reward differently. In situations where risk can get them something they want, they value the reward more heavily than adults do” (Dobbs 54). Why does my character choose to try this? Why does she choose not to? Not every teen character has to try these things, but the question should be asked of them. Not only is the chemistry in their brains screaming for them to try new and possibly dangerous things, their environments are too. For many teenagers these questions will come up, and that is where the writer has to come in and answer the why’s and how’s, otherwise the writer is not being true to her teenage character, nor her teenage audience. 7. Teenager’s brains are wired to go to bed later and get up later. It is scientifically documented that teenager’s melatonin levels do not start working until up to two hours later than everyone else. Therefore asking a teen to go to bed early and rise early is messing with their brain chemistry. If you have teenagers in your stories consistently waking up early and loving the sound of birdsong, there had better be a really good reason to back it up. Every human being is different; therefore every teenager is different and deserves to be treated as an individual. We should treat our teen characters as individuals as well. Though steeped in research, these traits are not hard and fast rules. I suggest them as guidelines, something to test your character against for authenticity. Try examining your teen character through the lens of this knowledge. Ask yourself if you’ve been authentic not only to the character as an individual, but to your character as a teenager. Your teenager should exhibit at least a few of these traits, and if your character seems more adult than teen, ask why. Perhaps there is a good reason and you can back it up in the story. Perhaps your character has had to grow up incredibly fast due to circumstances at home, such as living with a single parent or in a foster home. Consider ways in which some teen traits can still seep through. Perhaps an otherwise very responsible teen decides impulsively to just once sneak out of the house to spend time with friends. There are many ways in which you can be certain to remain true to a teenage character. Maybe your teenager gets bored and decides to take a late night drive, or climb into a boy’s window at 3 a.m. For some teenagers this can be an every now and again thing, for other teenagers they are made of impulsivity. Choosing how much impulsivity to add to your character is part of what makes your character an individual. The same goes for emotional reactions or risk taking behaviors. 8. 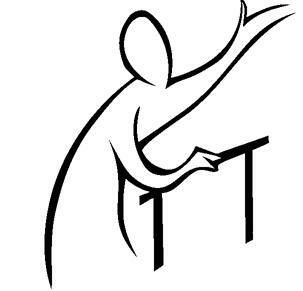 Rise in compassion and awareness of the feelings of others. While the brain is re-wiring, it is also making some changes that allow for compassion, understanding and empathy. Teens truly begin to understand the pain of others. It’s important to recognize that while teenagers can be difficult, they can also be understanding and empathetic. Remember no one person is exactly like another; therefore one cannot really distill the essence of what it means to be an adolescent into a bullet list. I hope this gives a touch of insight into the teenage psyche and perhaps as a result you have a few more tools with which to imbue your characters with a more authenticity and believability. Jessica Denhart has an MFA from the Vermont College of Fine Arts and is a proud Dystropian. She writes Young Adult fiction and middle-grade, which varies from contemporary, to magical realism and “near-future quasi-dystopian”. When she was little she sometimes wanted to be a nurse or a fireman, but always wanted to be a writer. She ran away once, packing a basket full of her favorite books. She throws pottery, loves to crochet, and enjoys cooking and baking. Jessica lives in Central Illinois. Carskadon, Mary A., Christine Acebo, Gary S. Richardson, Barbara A. Tate, and Ronald Seifer. “An Approach to Studying Circadian Rhythms of Adolescent Humans.” Journal of Biological Rhythms 12 (1997): 278-89. Sage. Web. 7 Feb. 2012. Strauch, Barbara. The Primal Teen: What the New Discoveries about the Teenage Brain Tell Us about Our Kids. New York: Anchor, 2004. Print. Dobbs, David. 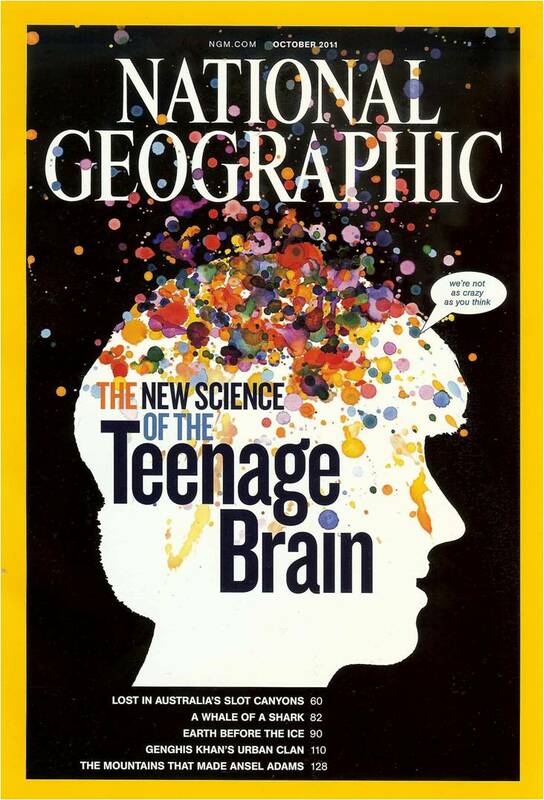 “Beautiful Teenage Brains.” National Geographic Oct. 2011: 36-59. Print. Johnson, Sara B., Robert W. Blum, and Jay N. Giedd. “Adolescent Maturity and the Brain: The Promise and Pitfalls of Neuroscience Research in Adolescent Health Policy.” Journal of Adolescent Health 45 (2009): 216-21. Elsevier. Web. 4 Feb. 2012. Music, Graham. Nurturing Natures: Attachment and Children’s Emotional, Sociocultural, and Brain Development. Hove, East Sussex: Psychology, 2011. Print. “NIMH · Brain Basics.” NIMH · Home. Usa.gov, 10 Feb. 2012. Web. 12 Feb. 2012. <http://www.nimh.nih.gov/educational-resources/brain-basics/brain-basics.shtml>. Steinberg, Laurence D. Adolescence. 8th ed. New York: McGraw-Hill, 2008. Print. This blog post was brought to you as part of the March Dystropian Madness Blog Series. How can we write about teenagers and get it right, especially now that most of us are no longer on the inside? We can rely on memories. Memories fade and change over time. So I chose to research the psychology of the teenage brain, because that’s where the way we think and feel starts, in our brains. We were all teenagers at one time. If we try, we can remember what it felt like to have been there, in the thick of adolescence and all of its turmoil. In my research I discovered that the teenaged brain is still changing, developing and hardwiring. There are so many changes going on in the adolescent brain that often, like an electrical connection that is breaking down, the brain cuts in and out on a teenager at critical times. A teenager may have trouble with their memory when it comes to lists of things to do, or directions given to them by their parents or teachers. It can also relate to the ability to remember what to do for homework. What seems like lack of attention or inability to focus is something that can be specifically traced to the, as yet unfinished, wiring of the parietal lobes. Teenagers may not be able to hold their emotions in check and scream at or hit someone in an overreaction to a minor incident. They may say whatever comes to their mind first, even if it’s cruel or blunt. They may do something risky due to a lack of impulse control. 3. The overwhelming desire to do new and exciting things. Teenagers may do crazy things, like diving off of cliffs into water 75 feet below as one of my friends did (and still does). Some drive incredibly fast, which is something that I heard over and over again from friends. Some love the thrill of video games; others enjoy a good scare through ghost stories and scary movies. Some teenagers sneak out of the house to do forbidden activities, like tromping through a graveyard in the middle of the night. Some drink and experiment with smoking and drugs. 4. Teenagers want to spend less time with their family and more time with their friends. You may recall this part of your own teen years. I remember this time in my life. I didn’t really fight with my parents much. 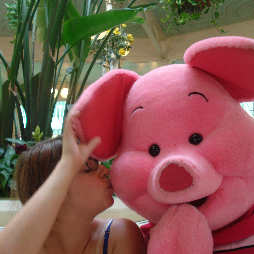 My rebellion against them wasn’t so overt. It was more subtle. It was a slow moving away from caring about their input in my life and spending more time with friends, caring more what they thought. This is very common in the teen years and is a direct result of brain chemistry. The neural hormone, oxytocin is prevalent in the teenage brain making social interactions more desirable. Basically, teenagers want to hang out with their friends and avoid their uncool parents. Coming up next – Part 2: Teen Traits (5 through 8). This article was brought to you as part of the March Dystropian Madness Series. Now, don’t get me wrong. Stories that preach = BIG FAT NO. Making your story a mouthpiece for your beliefs is never a good idea. This is not your job. BUT that doesn’t mean that you’re never allowed to wonder who’s going to read your stories, and what those readers will get out of their experiences. For my graduate lecture, I took a look at how feminist and post-feminist literary theory can help us look at YA literature and decide for ourselves what messages we want to send. Feminism is, at its core, the belief in equal rights for all genders, but of course there are many definitions and variations among those definitions. The question of choice (who gets to choose, and what they should choose) is sometimes a point of contention among critics. 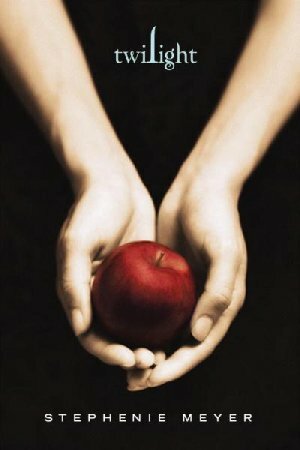 I think that one of the reasons so many critics find fault with Twilight and novels like it is because Bella’s choices may be her own, but they are consistently at odds with the choices we want our girls to make. When we show characters who consistently choose dangerous, controlling partners, our fear is that young adult readers will also choose dangerous, controlling partners. I don’t think this is an invalid concern, but my intention isn’t to debate or argue it. That’s for another time, another post. My intention is to say, that if you’re a YA writer and this is something you are thinking about, there are ways to develop a good feminist story without making it preachy or propaganda. I’ll share some methods that I found useful and talked about in my lecture. 1. What does your main character want? If it’s just a relationship, consider that in real life, a desire for a relationship is usually a symptom of a deeper desire for something else, like security or acknowledgment. Consider what other forces might be at work, and you’ll avoid creating shallow characters whose problems can be solved by a significant other. 2. Make sure your character stays active. Find places in the story that force her to act, that take away her safety net and test her. This is true of practically any story, but in YA romances, it’s especially important. She doesn’t need to be a hero, but she shouldn’t rely on her love interest too much. 3. Pay attention to your character’s love interest. Speaking of the love interest, don’t forget to pay attention to him! Or her. What does he want? Does he act in a way that harms the main character, and if so, are there negative consequences? If your character has to choose between two love interests (very common these days), is the choice made too easy (by having one character turn out to be a jerk)? 4. Romance novel vs. novel with romantic elements. A romance novel is a little different than a novel with romantic elements. A romance novel’s plot is dependent on the relationship between two characters, so if you want to write a story with feminist undertones, you might choose the other path. 5. Why do your characters get together? Think about the reasons your characters are together. Is it because they find each other so attractive? Or do they share a deep, mutual connection? The more you develop the relationship, and the reasons for it, the more likely you are to connect with readers. 6. The moral of the story. All of these factors combined puts you in a better position to control the final factor: the moral of the story. Once you’ve finished a draft, it might be a good idea to take a look around. What’s happened to the characters? Who’s alive? What have they had to sacrifice? Your character’s rewards and punishments reveal a lot about your story’s message. Is it the message you want? There are, of course, many more factors than these six that you will need to pay attention to in order to write a great novel. But this is a place to start if your aim is to write a story with romantic elements that will both appeal to teen readers and give them characters and situations they can look up to. 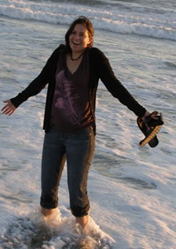 Rachel Lieberman works in higher education and writes YA. Her short fiction has appeared in Opium, Awkward, Emprise Review, and others. 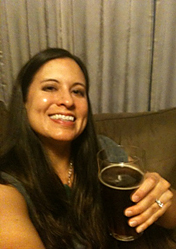 She holds an MFA in Writing for Children and Young Adults from Vermont College of Fine Arts. She lives in Tampa. The LA Times Festival of Books is this weekend (April 30th – May 1st)! If you live in the Southern California area this is a wonderful FREE event filled with hundreds of authors, artists, and book lovers! There’s even a children’s book stage (bring your kids) and a YA Stage! Not to mention the plethora of panel discussions happening all around the USC campus! (That’s right a new location at USC this year). 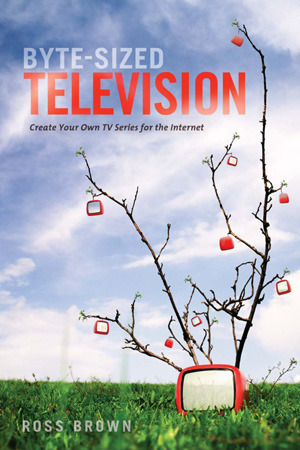 Also, if you’re interested in writing your own web-series check out the great new book Byte Size Television written by the wonderful teacher and screenwriter Ross Brown. He will be selling and signing his book from 3-4pm on Sunday at the Chapman University Booth #226. Celebrate books, wear sunscreen, and have fun!